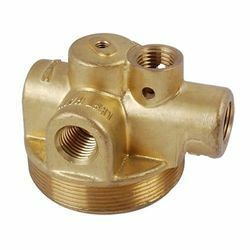 Prominent & Leading Manufacturer from Faridabad, we offer non ferrous castings. We offer a wide range of Non Ferrous Castings. Our range of Non Ferrous includes Copper, Brass, Aluminum, Phosphorus, Bronze, Gun Metal. Our range of Non Ferrous is offered to suit the needs of all our clients which helps them in their industrial applications. Looking for Non Ferrous Castings ?